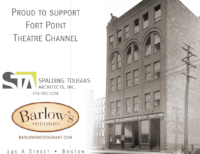 Contrapose Dance and Ensemble Warhol joined forces with Fort Point Theatre Channel in presenting an hour long operatic episode entitled JEANNE, the story of a woman. This production is a fully staged excerpt derived from JEANNE, a full-length opera by James Swindell and Mark Warhol. JEANNE, the story of a woman not only intrigued the audience on its own merits, but also left them with a craving to view the completed work. The music shares moments of poignancy and tenderness, but its real success lies in its ability to integrate all aspects into an intellectually provocative dramatic whole. . . . Having witnessed the first hour of Jeanne, this reviewer is eager to discover the rest.--Boston Music Intelligencer. Click here to read the full review . JEANNE, the story of a woman featured the choreography of Junichi Fukuda, accompanied by the music of composer Mark Warhol, performed live by the Boston String Quartet, conducted by Andrew Altenbach. Evie Huang on double bass joined the quartet for this particular production. Percussionist Bob Schulz provided additional solo accompaniment for the prelude and postlude. Opera singers Anna Ward (soprano) and Patrick Massey (tenor), along with Contrapose dancers Nina Brindamour, Danielle Davidson, and Magdalena Gyftopoulos, portrayed a modern-day tale of birth, labor, death … a story of wisdom that comes with age and of innocence that only youth can claim as their own. Interacting within a set designed by Richard Dorff, the vocalist protagonists, along with the dancers, used movement as another means to communicate their energy, passion, and tension. For JEANNE, the story of a woman is a tale rich with attraction, perhaps considered fatal, as the protagonists are swept away towards their inevitable, inescapable destiny. JEANNE, the story of a woman was the second collaboration between Contrapose Dance, Ensemble Warhol, and Fort Point Theatre Channel in fully realizing an operatic episode from JEANNE by Swindell and Warhol. An example of this 2011 collaboration, JEANNE’s Fantasy, can be viewed at https://www.youtube.com/watch?v=-l6q0a42slU. Richard Dorff (set design) is a visual artist known for his innovative installations. He attended Massachusetts College of Art and currently works in his studio in East Boston. 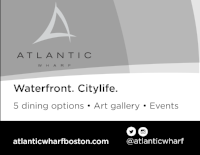 Richard is a founding member of the Atlantic Works Gallery, as well as serving as an artistic director of Fort Point Theatre Channel. He recently designed and curated INTER-ACTIONS: Performance Art x Art That Performs, FPTC’s multimedia presentation featuring dozens of musicians, actors, poets, and performance artists collaborating with an interactive art installation. It was presented on Boston Common during the 2015 Outside the Box Festival and in Fort Point inside the Channel Center Garage, itself a 10-story-high work of art. Evie Huang (double bass) is originally from Kaoshung, Taiwan, where she began studying music from the young age of five. She became principal double bass at the Evergreen Symphony in Taipei in 2005 where she held the position for three years. In 2006 she received first prize at Taiwan’s national Double Bass Concerto competition. She then came to Boston where she joined Larry Wolf’s studio at the New England Conservatory. She is currently a section bass player with the Atlantic Symphony Orchestra. Robert Schulz (percussionist) is widely regarded as one of the finest new music percussionists working today. His expertise extends across a broad range of musical styles, ensembles, and instruments. He is principal percussionist for the Boston Modern Orchestra Project, Boston Landmarks Orchestra, Boston Musica Viva, and Dinosaur Annex and “house drummer” for Albany Symphony’s Dogs of Desire. He works as well with the Boston Symphony, Pops, and Ballet orchestras, Pro Arte Chamber Orchestra, and the Boston Chamber Music Society. As a timpanist, mallet specialist and multi-percussionist, he has been a featured soloist with the Boston Celebrity Series on numerous occasions. In 2004, Mr. Schulz received a Grammy Award nomination for Best Small Ensemble Performance on Yehudi Wyner’s The Mirror (Naxos) and gave the premier of Tan Dun’s Water Concerto with BMOP. He tours nationally and internationally with pipa virtuoso Wu Man and was the featured soloist for the 2006 CrossSound Festival in Juneau, Alaska. In 2010 he recorded Kick and Ride, a concerto for drum set and orchestra, written for him by Eric Moe. With a performance described as "Stunning" by Fanfare Magazine, it was released by BMOP Sound in 2011.